Today, Eurasian Collared-Doves are extremely common in Nevada. 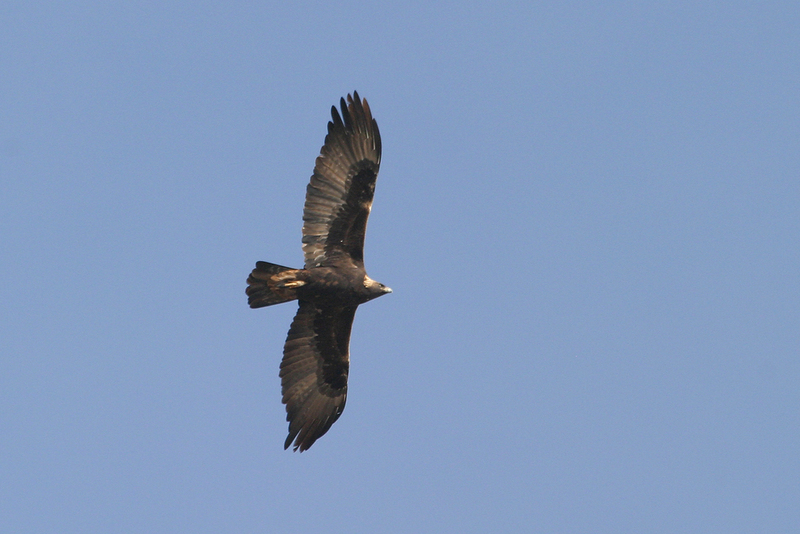 During the breeding bird atlas years (1997-2000), the species could not be confirmed as a breeder in the state. The Nevada Breeding Bird Atlas project was the first comprehensive, statewide inventory of Nevada’s breeding birds. The project began in 1997 and field work was completed in 2000. The project involved surveys of 769 atlas blocks and nearly 10,000 incidental records. 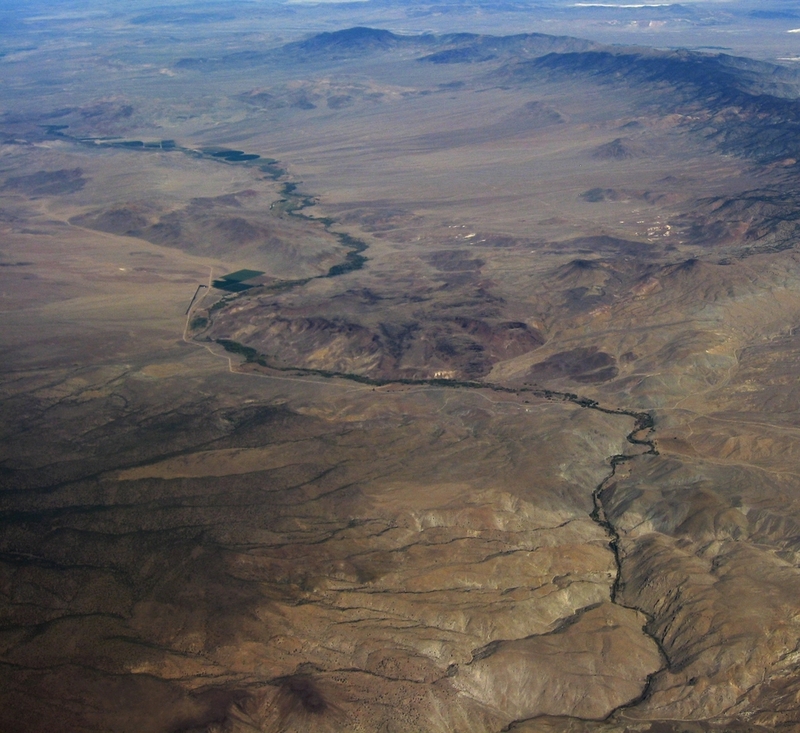 It was the first and largest citizen-scientist effort in the state at that time, with over 400 atlas surveyors spending more than 14,000 hours and traveling over 150,000 miles to survey sites throughout Nevada. The 769 original atlas blocks were selected in a random fashion throughout 16 major habitat types represented in Nevada. In addition, 78 new atlas blocks were visited in an effort to generate a predictive model that allowed us to estimate the probability of each species’ occurrence throughout the state, including areas that were not sampled during the atlas surveys. Click to view Atlas Predictive Maps for each species listed in the Nevada Breeding Bird Atlas. A total of 243 species were confirmed as, or strongly suspected to be, breeders in Nevada during the atlas project. New species confirmed as nesting in Nevada included the Gilded Flicker and the Rufous-crowned Sparrow. For some species, for example Black-billed Magpie, Gray Vireo, and Wilson’s Warbler, the breeding distributions were significantly different than previously assumed. 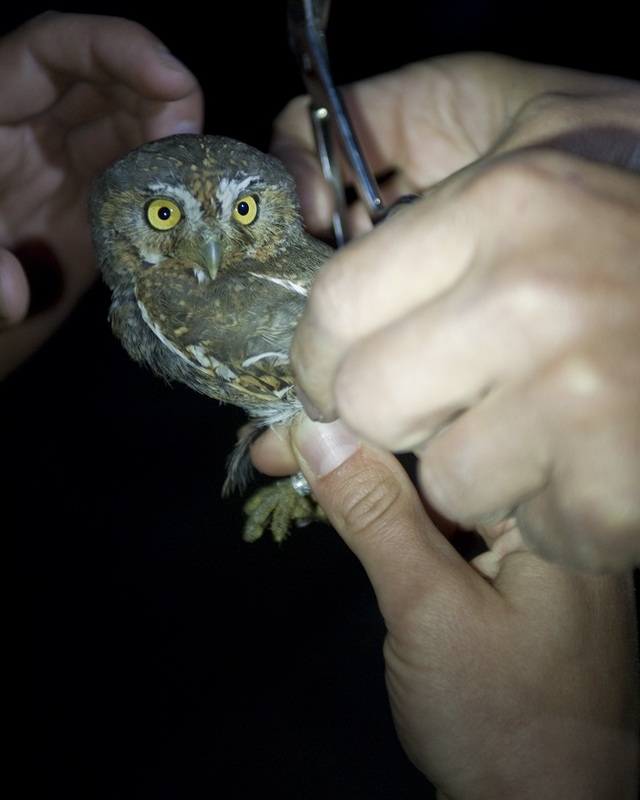 Several species eluded confirmation for breeding, such as Sharp-tailed Grouse, Spotted Owl, Pileated Woodpecker, and Hermit Warbler, all of which are suspected to be at least occasional breeders in the state, and some of which have been confirmed since the atlas field work was concluded. Overall, the atlas paints a picture of a very dynamic bird community, with some species apparently declining or contracting their breeding range in the state but others, such as Eurasian Collard-Dove, White-winged Dove, Anna’s Hummingbird, and Great-tailed Grackle, actively expanding their range and apparently increasing in numbers. 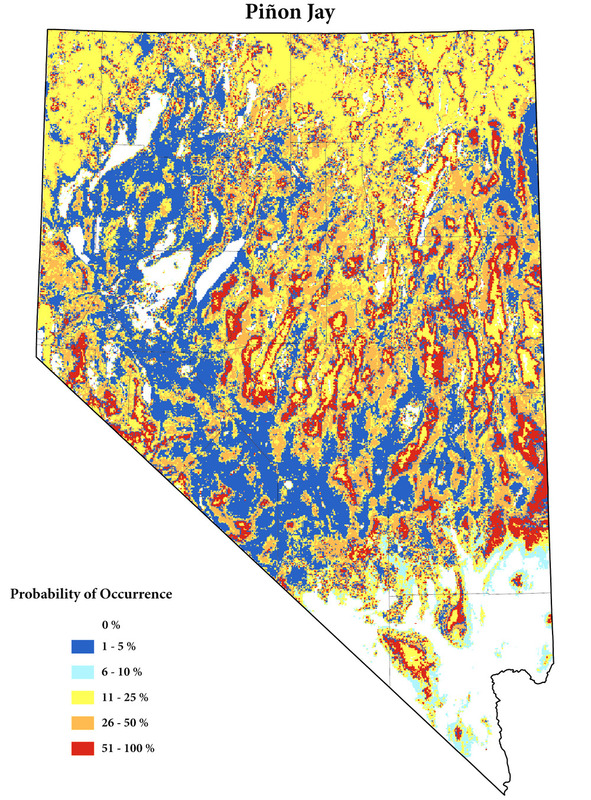 These findings suggest that continued monitoring and a continuation of the atlas effort are critical for understanding the changes occurring in the Nevada landscapes and the bird communities that inhabit them (see also below: Future of the Nevada Atlas Project). More than 25 partners representing public agencies, private groups, and corporations provided critical financial and in-kind support for the atlas project. Since 2000, GBBO has worked with the original atlas leaders Ted Floyd, Graham Chisholm, Chris Elphick, Kevin Mack, and Bob Elston to vet over 30,000 records in the atlas data base and prepare a final manuscript for publication by the University of Nevada Press. The book Atlas of the Breeding Birds of Nevada presents maps with all breeding records and maps with the predicted distributions of all 243 species that were confirmed as breeders in Nevada during the atlas project. The book, which features cover art by David A. Sibley and book illustrations by Ray Nelson, will be published in April 2007 by the University of Nevada Press. For more details on the book, please see http://www.nvbooks.nevada.edu/books.asp?ID=2453. GBBO intends to keep the atlas data base open for continual amendment with new data. After final clean-up work, we will post the data base, the locations of atlas blocks, and information on how to submit additional atlas records on our website. We encourage all atlas supporters to continue to collect atlas data in their favorite atlas block and report casual breeding records, especially for species for which additional records would change our view of their distribution. For example, one of the items we discovered is that during the atlas project, many of the very early breeders (especially in the Mojave Desert) and very late breeders may have been inadequately covered during the 1997-2000 atlas field seasons. Therefore, any confirmed breeding records outside the May-June period are of particular interest to amending the data base. 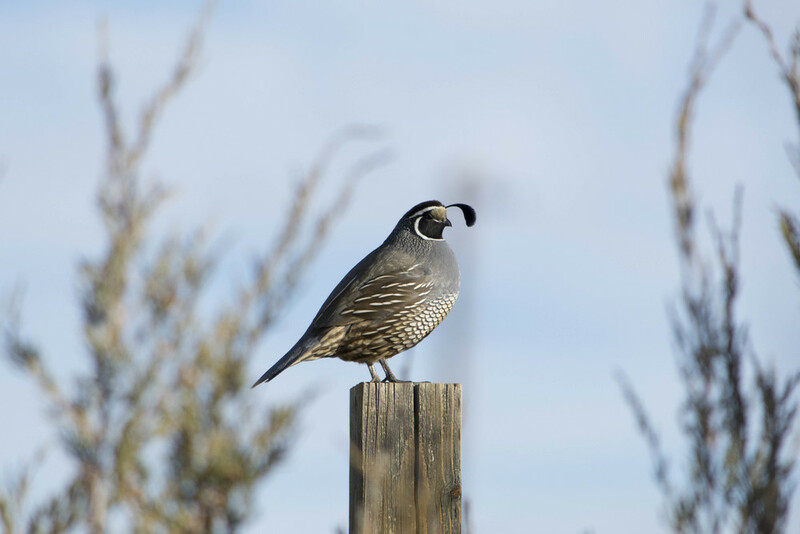 This volunteer effort to amend the atlas data base will also allow us to judge when it will be time to do another comprehensive atlas project that involves revisiting all atlas blocks to determine changes in breeding distributions of Nevada’s birds. 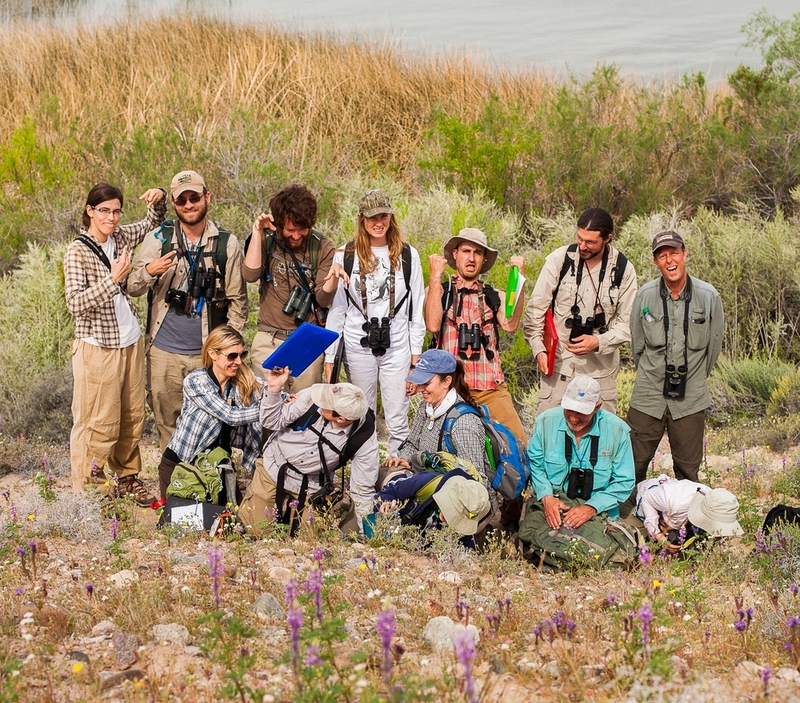 Help celebrate Nevada’s bird diversity with your participation!